At the forefront of modernism, Marianne Moore (1837-1972) both influenced and was shaped by the rich aesthetic climate of her age - and she consistently looked beyond her own medium for inspiration. 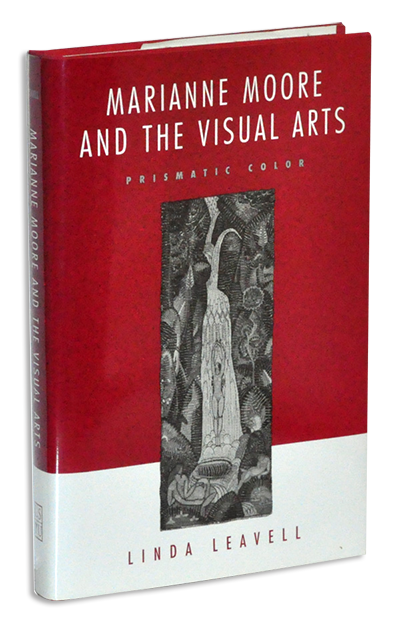 Based extensively on unpublished archival material and replete with reproductions of paintings, photographs, and other examples of modernist art, this is the first book to explore Moore's work in its interdisciplinary context - to show us why Moore believed that "language is a special extension of the power of seeing." Through a thorough examination of her published and unpublished work, Leavell describes Moore's formal solutions to the overthrow of nineteenth-century conventions and examines the ethical implications of this revolution. She shows that Moore shared the personal values espoused by Stieglitz, Kandinsky, and other visual artists, particularly in their radical resistance to aesthetic, social, and spiritual hierarchies. Finally, Leavell deals with challenges that confronted American artists after World War I: to preserve artistic expression in an industrial age and to define a distinctly American art.